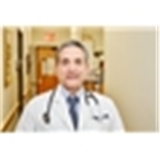 Francesco Passarelli MD (Maspeth) - Book Appointment Online! We are happy to have been lucky enough to serve our friends and neighbors in Maspeth for the past 10 years. Our staff offers both Urgent care and internal medicine/primary care. We'll be happy to help with any healthcare needs you might have. We are conveniently located across from O'Neill's Restaurant. It was a pleasant experience and one in which I would do again and have done for the past 10 years..Stephen Vitale is a good guy and a very good P.A.